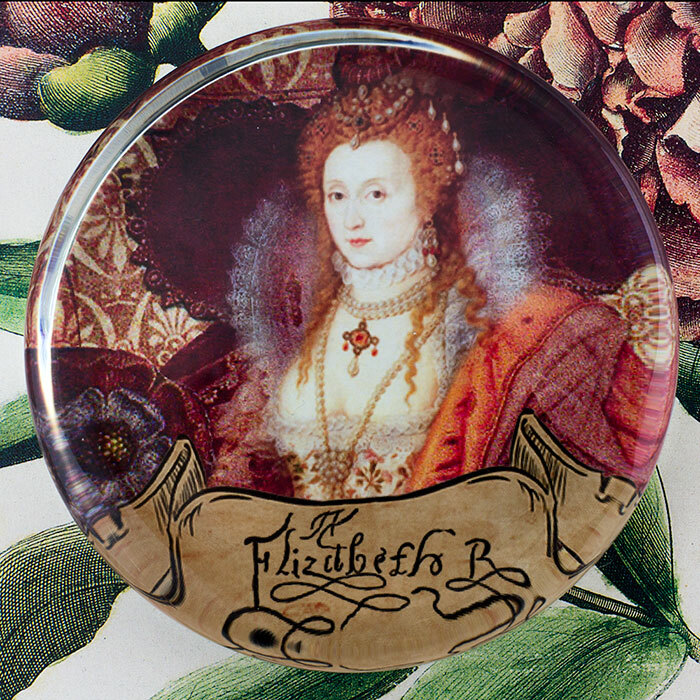 This beautiful paperweight features the beautiful Rainbow portrait of Queen Elizabeth I. Meticulously made in Colorado, USA, and shipped worldwide. Handmade by Tiffini Elektra (TartX) in the USA. Due to the weight of the glass paperweights the cost of shipping paperweights outside of the USA is quite high so there is a flat shipping surcharge of $5 added to International Orders.